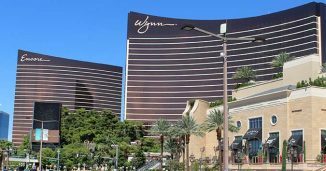 Wynn Las Vegas is a luxury AAA five diamond resort and casino located on the Las Vegas Strip. The $2.7-billion resort covers 215 acres, has 45 floors with the 2,716 rooms, and includes an 111,000 sq. ft. casino. Wynn Resorts hold more Forbes Travel Guide Five-Star awards than any other independent hotel company in the world. The resort offers award-winning restaurants, exciting entertainment and nightlife, a pristine 18-hole golf course, two award-winning spas, salons and luxury shopping. 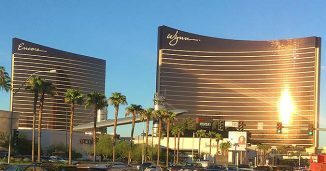 Wynn Las Vegas offers over 200,000 square feet of convention space including two column-free ballrooms, 18 meeting rooms and two beautifully appointed boardrooms. At Encore, Wynn’s Sister property, 60,000 square feet of custom-designed meeting space can be transformed to fit your every need including three private boardrooms, 17 meeting rooms and a 20,650 square foot, column-free ballroom. COUTURE Las Vegas, held annually at the luxurious Wynn Resort, is the most exclusive and intimate destination for the luxury jewelry and timepiece market. It’s the architecture & design event of the year in Las Vegas!